Students are the future. 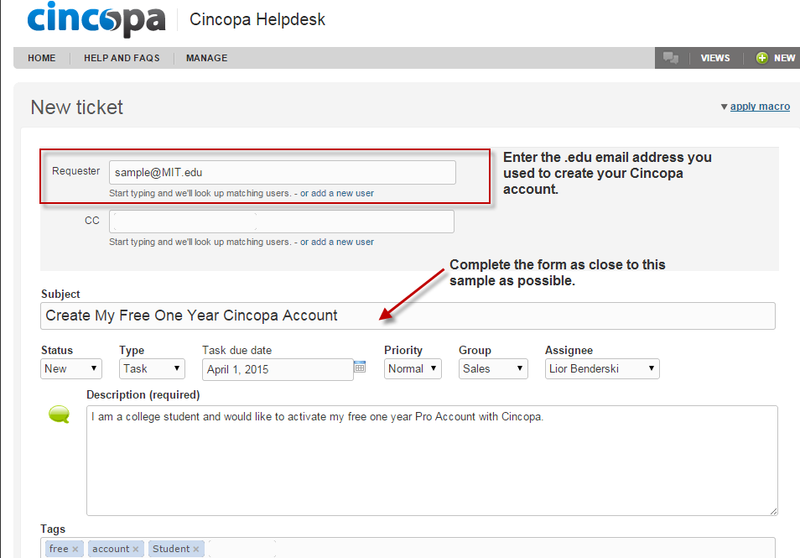 And Cincopa is proud to offer all currently enrolled College and University students afree Cincopa Pro Account. You’ll be able to access and use all our Pro Features and Skins for music, video, images, slideshows and podcasts. That’s it! Once your account has been activated, you’ll receive a Welcome Email from us and you’re on your way to all Cincopa Pro Features for free! P.S. Special bonus points and good Karma to those students who elect to add a “Powered By Cincopa” badge on their site’s footer and link it to our homepage: www.cincopa.com. Just follow this link and you will get your homework done with a huge discount!